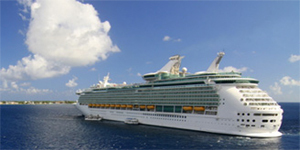 Due to new government regulations requiring cruise lines to submit final departure manifests at least 60 minutes prior to sailing, guests are requested to complete Online Check-in no later than 3 days prior to their cruise. If you have not completed Online Check-in, you may be required to complete this process at the pier two hours prior to the published sailing time. As a service to you, our Travel Leaders agentss would be glad to complete this process for you if you prefer.